A Christian is a "Christ-one", one in whom Jesus Christ indwells. In His walk, at the cross and through His resurrection, Jesus Christ made a way for us where there was no way. He was seen through prophecy and as a shadow in the Old Testament. He came as prophesied, but was not necessarily accepted by those who were to prepare the world for His coming. The Chosen children of Israel sought to kill him as they were steeped in religious ritual. They were so focused on the law, rules and man's religiousness that they missed him all together, even though God revealed himself to them in Jesus Christ. He stood before them and they knew him not. What is interesting is that the winebibbers, prostitutes, tax collectors, the blind, maimed, sick recognized him, and quickly believed and were made whole. What is it to be made whole? To be set free? To walk in the inheritance that He has provided for ALL who would have an ear to hear? LDS claim a "Restored Gospel"
1) Where is the original model? 'What Changed' in the transition between the OT and the NT according to the Bible, then ask, what part of this needed to be restored? Jesus became our great High Priest (forever) Once for all, forever. Good news began. The gospel began to be spread like wildfire. We have been set free. (Gospel is the "Good News"). Once we understand this freedom in Christ we want to share. We now have ALL power in JESUS name. (This is the name that was to be revealed whereby all power would be given unto men) Jesus said "greater things will you do, than I"
Jesus showed us what the relationship that he desires with us...looks like. As He walked among us in the flesh. Jesus showed us how the very chosen (who did not know him when he came) could be deceived, even enough to put Him on the cross. Jesus grafted in ALL who would have an ear to hear. Did any of these changes change since the cross? What part of that needed to be restored? The Pearl of Great Price, Joseph Smith - History, verse 19: "I was answered that I must join none of them, for they were all wrong; and the Personage who addressed me said that all their creeds were an abomination in his sight; that those professors were all corrupt; that: "they draw near to me with their lips, but their hearts are far from me, they teach for doctrines the commandments of men, having a form of godliness, but they deny the power thereof." http://www.4witness.org/mormon/jwldschr.php "Why do people say Mormons are not Christians?" http://www.bringyou.to/apologetics/num23.htm "Is the Mormon Religion a Christian Religion?" http://www.rapidnet.com/~jbeard/bdm/Cults/mormon.htm "Mormonism, Christian or Cult?" 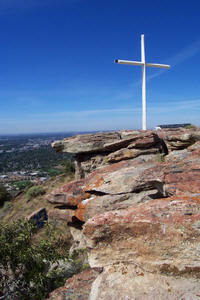 http://www.christianitytoday.com/tc/9r2/9r2068.html Christianity today "Are Mormons Christians?" http://www.cornerstonemag.com/features/iss112/hwtd.htm Cornerstone Magazine "Is Mormonism Christian?" http://www.biblebelievers.net/Cults/Mormonism/kjcmorm1.htm Bible Believers "Is Mormonism Christian?" http://www.mrm.org/topics/introductory-issues/were-christians-just-you MRM "We're Christians just like you"
http://www.christianitytoday.com/tcw/2008/janfeb/5.46.html Today's Christian Woman "Understanding Mormonism"
http://www.spotlightministries.org.uk/morm&churches.htm "How does LDS Church view other Churches?" http://www.beliefnet.com/features/mormonism.html beliefnet "Mormonism vs traditional Christianity"